Space, the final frontier. These are the voyages of the Space Station Chris. To boldly orbit around Earth like the ISS, Tiangong and others have done before me. You’re thinking it doesn’t sound as compelling now, aren’t you? Well, believe me: you’re wrong! Stable Orbit [Official Site] takes the compelling parts of management games, blasts them off into space and puts you in charge of your very own space station. There aren’t many videos of the game around, but comments invariably hint towards Kerbal Space Program. It’s an understandable but not really fair assessment. Set in 2034, Stable Orbit will be set in a world that every single one of us can relate to. There’s a little science-fact in there, as the member of staff from Green Man Gaming was happy to tell me. It’s all just based on the trajectory that science is heading towards as we speak. Virgin Galactic, Space X, Bigelow. Those and more are pushing towards this future. Strangely, what drew my attention at first wasn’t the space station or the building of it. Not even the thought of people, funds or management, something that is always a selling point for me (I even own Lunch Truck Tycoon). What captivated me was just watching the station that somebody had already built orbit the Earth. Using a hugely detailed Earth that demonstrates both the day and night and how the world looks from that. I literally stood there for about five minutes just engrossed in the view, though also trying to find where I lived when I zipped over the UK. How great it looks is highlighted in the teaser video below. But what can you do beyond building a space station? There’s the matter of expansion first and foremost. A small space station is a feat in itself, but the real goal is to grow, to have the ability to do anything and everything you would need to. To do this, you’ll need money. Funds are gained through doing valuable research that otherwise couldn’t be done on Earth. Much like the ISS in real life, a lot of its value comes through the progress that can be made through scientific means. Of course you need astronauts to perform this research. These same astronauts will be vital in maintaining your station as damage can, and will, happen. Be it from wear and tear, old age or even debris. Sod’s law dictates that whatever can go wrong, will go wrong and at the worst possible time. Keeping these astronauts alive will be challenging enough. 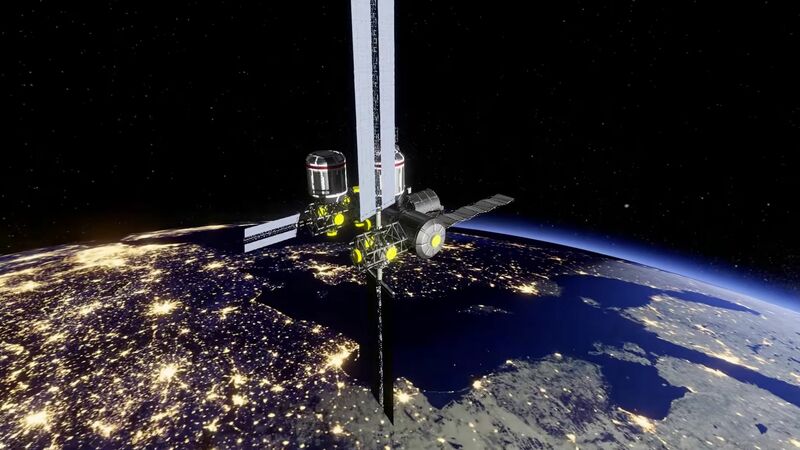 The playable version of Stable Orbit at EGX featured three out of the six planned core systems within the game. These being food; water; oxygen; electricity; garbage and the general care level of astronauts. The latter I understood as being their fitness levels or happiness. Getting the parts up to your station is a costly business and there’s always room for error there. The game will feature over 40 modules to attach to your station, a number of companies and craft based on real life competitors in the field now. Some will be cheaper than others, but there’s always a risk that cutting costs in an area can lead to a failed or slow launch. There are a number of dangers, challenges and problems to face and solve. How you do it will decide if your space station thrives or dies. It all results in what should be a well realized and engrossing game. You need to manage resources to keep your astronauts alive, but also make sure you have the money in case something urgent is required. There will be a number of scenarios within the game, setting certain tasks and goals. Maybe you just want to play without any major aims? Feel free. Once you’ve hit a certain point in the game you will also have the ability to rewind try things differently. Developed by Jim Offerman, lead programmer on Deus Ex: Human Revolution, Tomb Raider and Thief, the game certainly has some talent behind it. Having been in the making for roughly a year and a half, Stable Orbit will be releasing on Early Access on the thirteenth of October; it’s also currently on a pre-order sale over at Green Man Gaming for just £8.49 or your local equivalent. I can genuinely see this being a great and time absorbing game to say the least.